Birds - Oxford Feed Supply Ltd.
Oxford Feed Supply carries all kinds of bird seed to keep our colourful little friends coming around. We have many different mixes designed for numerous species of birds. We even supply suet cakes/balls, humming bird and oriole food. Our bird house/feeder selection is excellent! So many creative and uniquely designed bird-feeders. They come in all shapes and sizes. 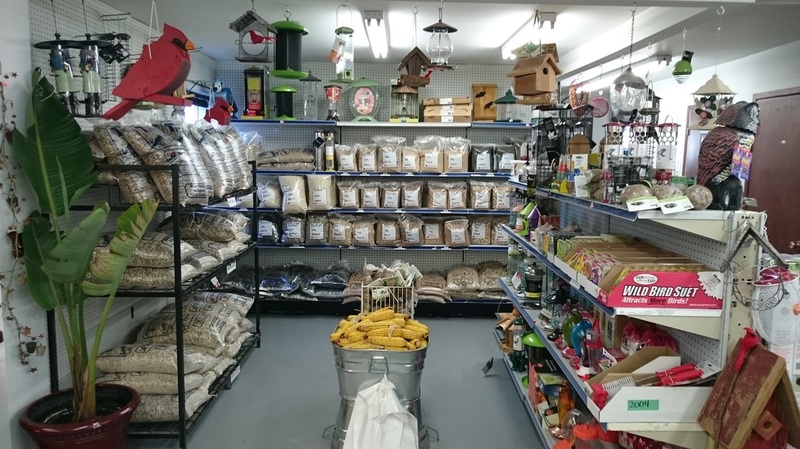 We also carry squirrel-proof bird feeders, and for the squirrels we have peanuts in or out of the shells. If you want to know the seed preference of a particular bird, click the download button below for a helpful chart.